Gudrun Hommel, Associate Professor of German, reading Hiking the Columbia River Gorge, by Russ Schneider. 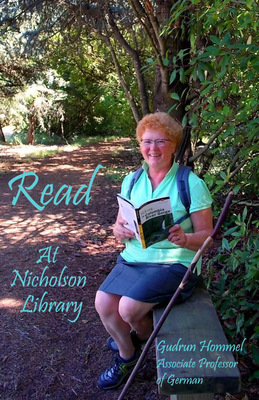 Terry, Paula and Nicholson Library Staff, "Gudrun Hommel READ Poster" (2012). READ Poster Gallery. Image. Submission 90.